If you are a pet owner, your pets are some of the most important things in your life. If something was to happen and they would get lost, what would your first step be? If your pet is not microchipped or doesn’t have a collar with their identification, the chances of your pet returning home to you is very slim. If someone does find your four-legged friend and they are chipped, though, there is a much higher chance that they find their way home. The American Veterinary Medical Association says that pets with microchips are much more likely to be reunited with their owners than those that are not. For dogs, 52.2 percent with microchips were reunited with their families as opposed to 21.9 percent of pups without chips. For cats, it’s a much more stark contrast, with only 1.8 percent of cats without chips returning home while 38.5 percent of microchipped cats were returned to their owners. In support of microchipping pets and making sure that your pets have proper identification, nest week – April 16 to April 22 – is celebrated as National Pet ID Week. 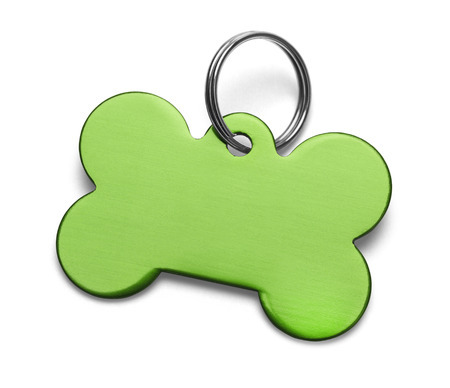 Whether you’re headed out for a walk or leaving your pet at home overnight for a business trip, you should always make sure that your pet has identification. Microchipping is the easiest way to do this, as a microchip provides something that’s permanent, unlike a collar that could come loose or fall off your dog or cat if they sneak out. Plus, embedded tags are commonly looked for by animal control departments and veterinarians, and include your phone number, name and address information to help reunite you and your pet more rapidly. Nearly 80 percent of pet parents believe that identification tags are important, yet only 33 percent report that their pets are actually wearing their ID tags all the time, according to PetHub. Think about this the next time that you see your beloved dog or cat walking around the house. Do they have an ID tag or are they microchipped? If not, there’s no better time to make sure your pet has a way to be identified easily than National Pet ID Week. At Pauley’s Pups, we offer a full range of small breed dogs to help you make your house feel more like home. Make sure that you and your four-legged friend never have to worry about being separated by making sure they’ve got identification. Looking to grow your pet family? Check out the puppies for sale online now or stop in and see us in Ashland, Virginia today.